Five years ago, a tropical depression formed in the Atlantic and began moving towards Florida. Later, it would become one of the worst hurricanes to hit the United States. On the day that the hurricane hit the Gulf Coast, my friend and colleague left Baghdad to return home. I watched her drive off into the hot, dusty Iraqi afternoon, went back inside to the tent that we had shared for a month. Her cot was empty. So was my heart. It was tough enough being embedded with the U.S. Army. But to do it solo, in the middle of a raging war? I began to feel sorry for myself until I heard the news from Louisiana. The next day, at the Camp Striker chow hall, I ran into Louisiana National Guard soldiers. 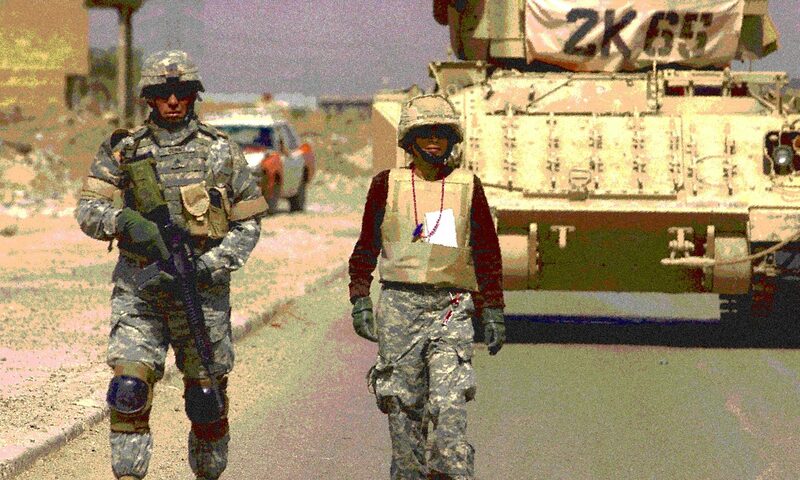 The 256th Infantry Brigade Combat Team had been at war for a year, based at nearby Camp Liberty. They called their pad Tigerland. They had lost about 40 men. Each day, they had smelled the acrid fumes of bombs and ammunition, seen the worst of humanity. They were exhausted and so ready to go home. It should have been a happy few last days. Instead, it turned wretchedly bittersweet. They could not take their eyes off the television screens. Image after image of New Orleans under a 30-foot wall of water. One soldier recognized his block in the lower 9th ward; even thought he saw his house, just the rooftop visible in the footage. The excitement quickly turned to dread on his face. He sat stone cold at the table, not being able to say anything for a few minutes. Then: “Well, that’s where I used to live,” he said, running off to the AT&T phone trailer to see if he could check on his mama. I am sure his effort was in vain. New Orleans was dark. No lights, no phones. Nothing. Many of them wanted to get on a plane that instant so they could help their fellow Guardsmen with rescue efforts. In their last days in Iraq, a guilt gnawed at their hearts. Some felt lucky to be in Iraq. Life seemed like a series of terrible ironies at that moment. So cruel and unfair. I crawled back into my tent that night no longer wallowing in my loneliness. Just grateful to be have a home back in Atlanta. Grateful to be alive. I read a story on Slate a few days ago about the same brigade, back in Iraq, back in the chow hall glued to the TV screens. Only this time, it was oil instead of water.